I think The Seven-Percent Solution was the first Sherlock Holmes pastiche I ever read. It’s been quite a few years, but I remember liking it quite a bit at the time. Enough that I sought out all of the original stories and inhaled them in a weekend. Perhaps my tastes have changed – or perhaps Meyer’s follow-up doesn’t live up to its predecessor – either way The West End Horror: A Posthumous Memoir of John H. Watson, M.D. is an absolute horror (not at all in the way the author intended). The fact is, Nicholas Meyers does so much wrong in The West End Horror (it doesn’t even merit a plot summary) that it’s the perfect jumping off point on how not to write a Sherlock Holmes pastiche. So here are my 5 simple rules on what NOT to do when writing your own Sherlock Holmes mystery. Rule #1 – Don’t Name Drop. In this, as he did in the The Seven-Percent Solution, Meyers includes a supporting cast of real life figures: Oscar Wilde, George Bernard Shaw, Gilbert & Sullivan and Sigmund Freud (in a repeat performance). I suppose he’d argue that he included them because of their connection to the London theater, which is the setting for the mystery – but they could have all been replaced with entirely fictional characters and I can’t imagine anyone would have noticed. We’ve all seen authors insert historical figures into a fictional narrative before *cough* Ahab’s Wife *cough* in what I can only assume is a misguided belief that by surrounding a fictional character with “real” people said character will in turn appear more real. Sometimes it works. More often is doesn’t. More often the real-life figure appears historically inauthentic and the author has only succeeded in reinforcing that we are reading a work of fiction. As in all things on this subject it’s best to follow Sir Arthur’s example. Keep it ambiguous. Plop Holmes in a historically and geographically accurate setting. Make passing references to an unexplored backlog of cases; in this way establishing a past, present and future for our characters. If you must employ a character who has an actual birth certificate never give a name. Let the readers connect the dots. Rule # 2 – There is no Holmes without Watson. Dr. John Watson writes about Sherlock Holmes. Period. There was no one else in the world on intimate terms with the man. No one else who was there for every case. No one else in whom the Great Detective put his trust. And let’s face it… who else would put up with the arrogant twit? 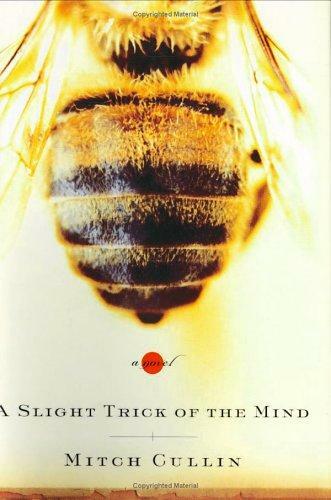 With the exception of Mitch Cullin’s brilliant novel A Slight Trick of the Mind I’ve never read a pastiche where the omission of Watson didn’t create a great, gaping hole in the page. Make no mistake – we love and admire Holmes because Watson loves and admires Holmes. And for the love of all that is holy – Holmes is not marriage material! Which leads me into Rule #3. Rule #3 – Holmes, married????! Pshaw! My dear chap, Sherlock Holmes is the confirmed bachelor. At the risk of alienating a certain group of Holmes’ fans – I’m not sure what else I can say about this. My personal feelings on the subject are as follows: Doyle wrote mysteries, not romances. If you want to write a romance, or a mystery that features a romance, create your own Great Detective and give him another name. Because, no matter how you slice it, Sherlock Holmes is a misogynist. I’d say it was a part of his charm, except he’s not all that charming either. Rule #4 – Don’t make excuses. 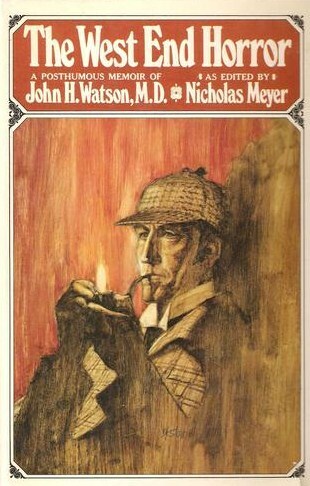 The conceit of Meyer’s pastiches are that he, Nicholas Meyer, has come into the possession of a long-lost manuscript of Dr. John Watson which reveals to the world a hereto unknown chapter in the life of the Great Detective. The manuscripts are usually damaged, with whole sections illegible, in a thinly veiled attempt to stave off the Holmesian enthusiasts from inundating Meyers with letters pointing out his inaccuracies. I’m not sure why he worried… Doyle obviously didn’t. You say pastiche, I say plagiarism. No matter what you choose to call it – you’re ripping off Arthur Conan Doyle. If the man was still alive you’d be in court. So once you’ve taken that bold step in your borderline criminal career, spare me the ethics. Read the original stories and pilfer the hell out of them!!!! Steal characters, case names, explain away those inconsistencies with wild and improbable leaps in deduction… or just ignore them altogether. That’s right Guy Ritchie! I’m talking to you! (Though I do sorta’ enjoy Jude Law as Watson). The only physical exercise Holmes gets is a bit of a chase after escaping bad guys. And even then I can’t imagine him accelerating above a determined trot. As for physical combat… He and Watson carry pistols for a reason. I believe Holmes occasionally engages in swordplay – that’s perfectly acceptable as he’s able to maintain safe distance between himself and his opponent. But hand-to-hand combat? Risk a facer??? A possible concussion??? Anything that might damage that amazing brain? Doubtful, dear readers. Highly doubtful. Obviously, Meyers is not responsible for the complete list (even at that he doesn’t quite make the grade). Ah well. If, like me, you feel that the holidays & Sherlock Holmes just go together – please share your favorites (and least favorites) in the comments section. A Study in Sherlock – Laurie R. King, ed. Yup…that’s what I’ll be reading on Saturday evening: curled under a blanket, a cup of cocoa on the table next to me and my two dogs loudly and happily barking at the innocent and unsuspecting passersby outside (aren’t they adorable?). Happy Christmas All!